This is largely a freshened up post from February of 2014. My pictures are much better now that I have purchased a competent scanner. South of town sat this lonely white structure. 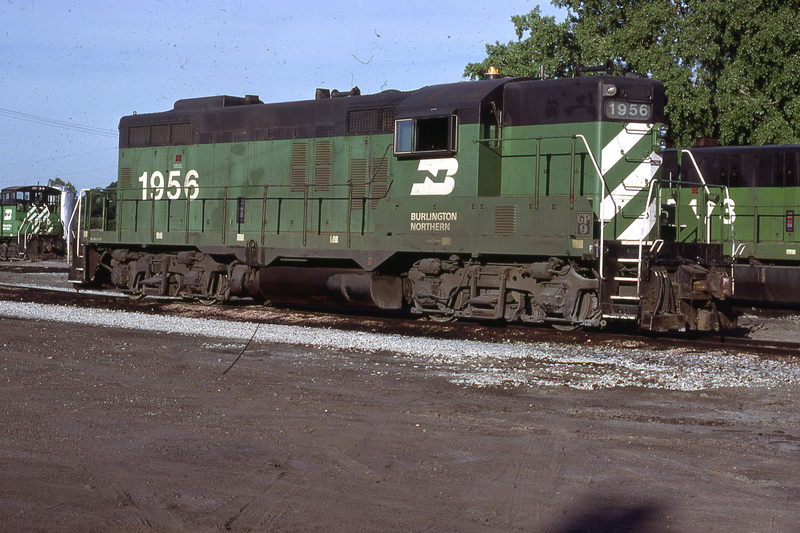 The green Burlington Northern box cars spotted there were almost as large as the structure. This venue connected Roswell with Golden, Colorado about two or three times a month or so. It was always nice to see a new car spotted there as I drove south out of Roswell on Hwy 287. 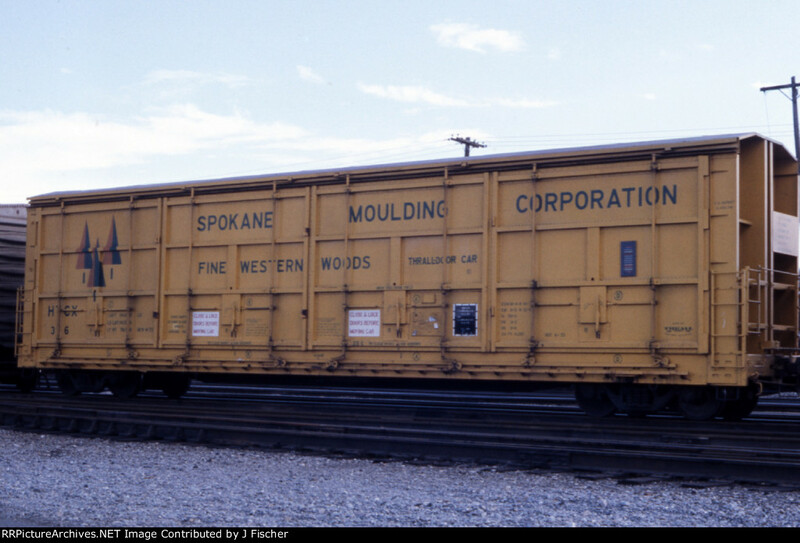 This another cool thing about modelling the early 1980s, single (or two) car shippers were still very common which is ideal for modellers and a great deal of beer was hauled by boxcars. 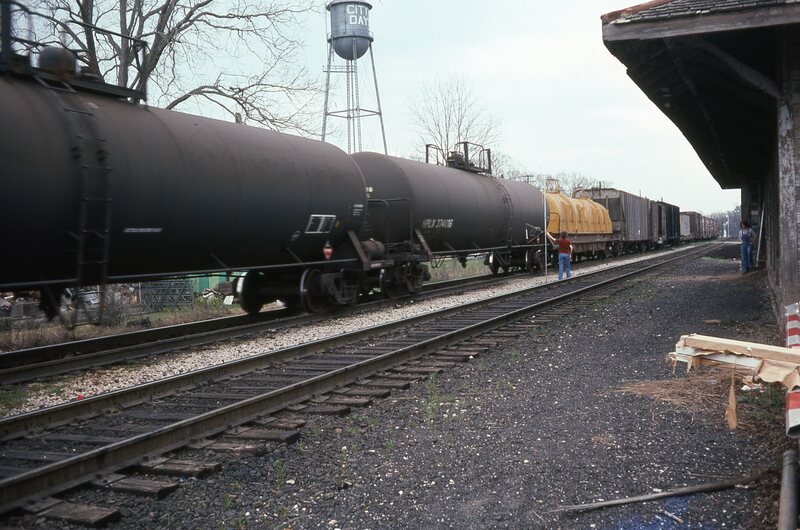 Though a lot of beer is still shipped by rail, including intermodal, most beer was hauled by boxcar up until probably the middle to late 1990s. Beer cars are great to model. Scene from the Rails West layout. 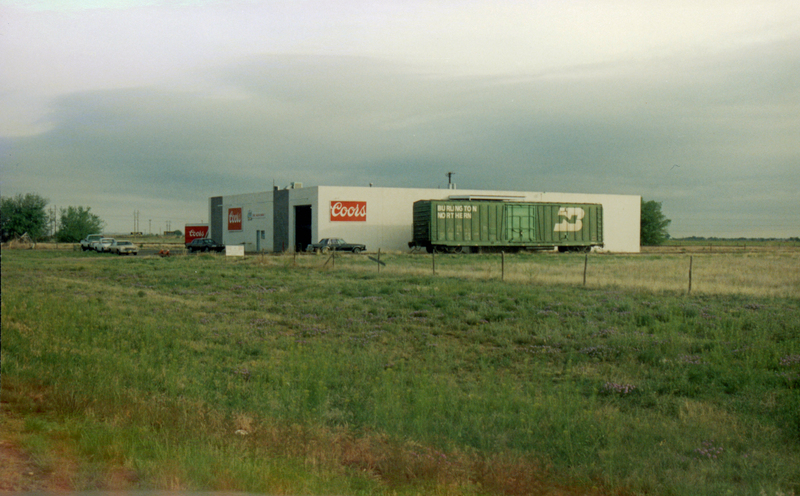 A lot of beer was brought into the Roswell, NM Miller Distributor in SL-SF boxcars like this one in the early 1990s. See this post. 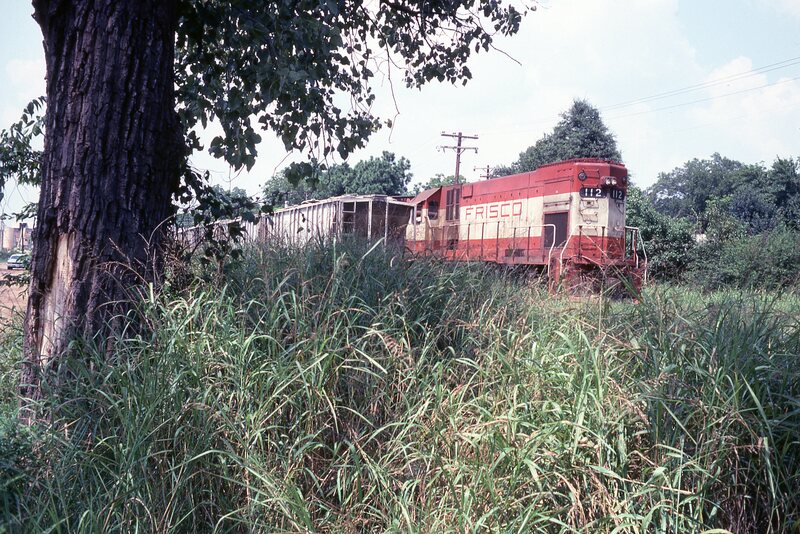 The trailing ATSF boxcar was a frequent visitor to the Roswell Budweiser distributor. 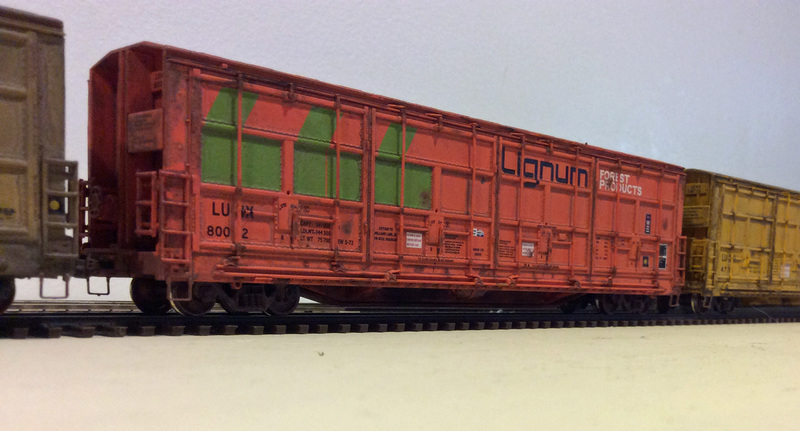 In another scene from the Rails West layout, this filthy WP beer car has just been collected from the distributor. 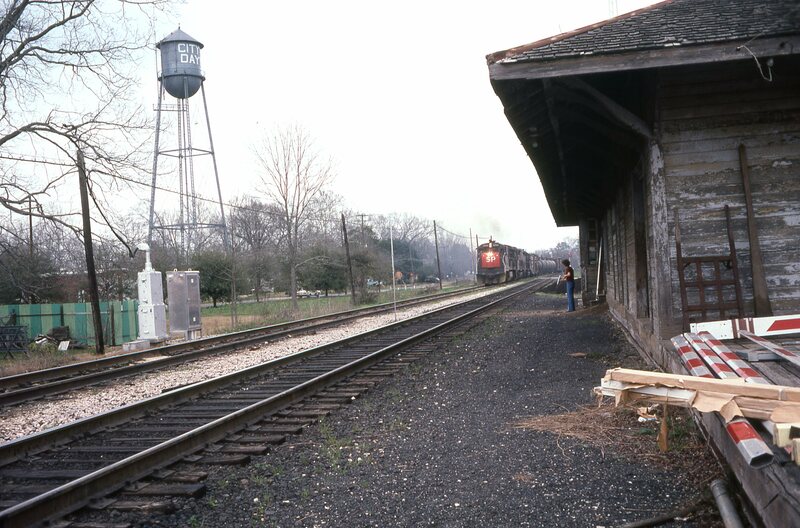 A load of beer being spotted on B. Smith’s LCR RR which is set in 1990. 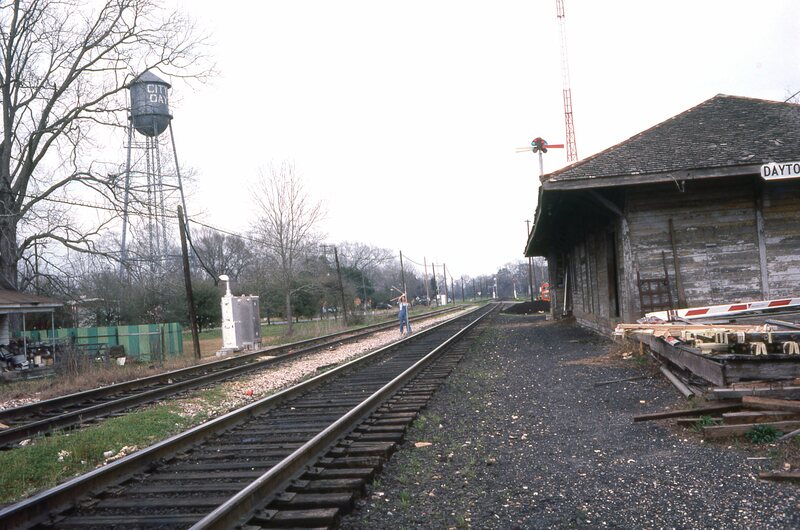 A string of beer cars on the Rails West layout before backdating the layout to 1982. No more “plain jane” ATSF beer cars sadly. 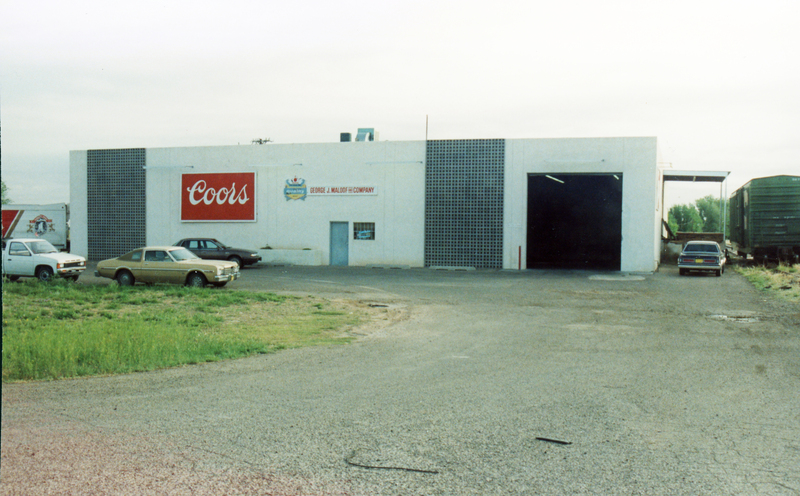 They were very common at the Bud distributor in Roswell throughout the early 1990s. If you’re not thirsty yet, check out one of my all time favorite Rails West posts here on the Golden Age of beer advertisements. Here’s a sample of what you’ll see.. In January of 2015, I boldly wrote a post indicating that I had finally settled on an era. That post should be a”prerequisite” before you read this post. 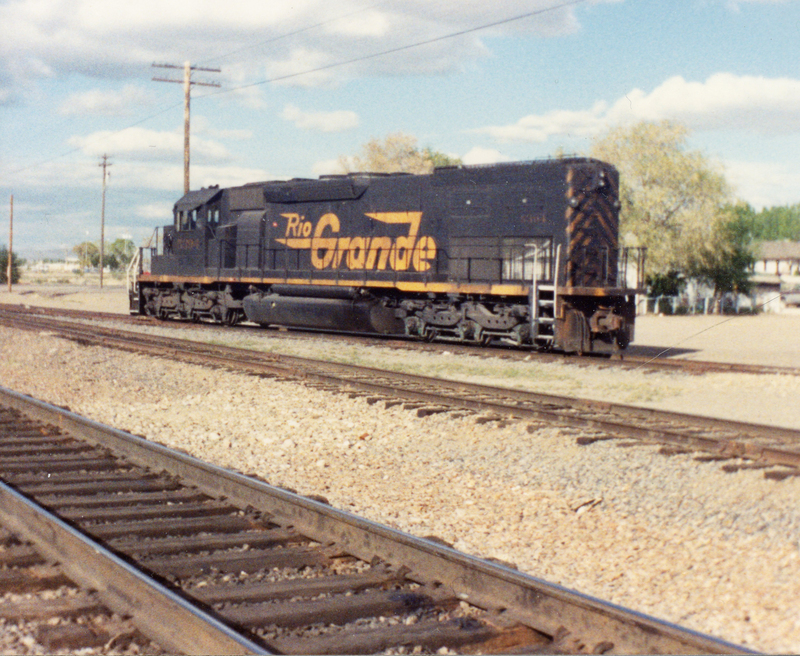 1 — It is rich with having both DRGW and SP motive power and an occasional caboose. 2 — Home road cars of UP, MP, WP, SP, SSW, CNW and CNW. All favorites–just need some ATSF thrown in. 3 — The track plan holds great promise and having a shortline could offer a variety of operations as well as mini-operating sessions when desired. 4 — I am very tired of re-configuring my rosters!!! 5 — It operates in the part of the country that I love and is beautiful. All of that continues to appeal to me a lot, but you may have noticed that my most recent track plan (January 10, 2016 post) features the BN and SP and there has been all this talk of early 1980s. What the *&^%)($#@ happened!? Well, my teenage memories struck initiated by all those 1978-1981 slides I scanned and other late 1970s-early 1980s images I have been seeing. When I started recalling how glorious early 1980s railroading was, I had to evolve further. The Asherton Branch was born. 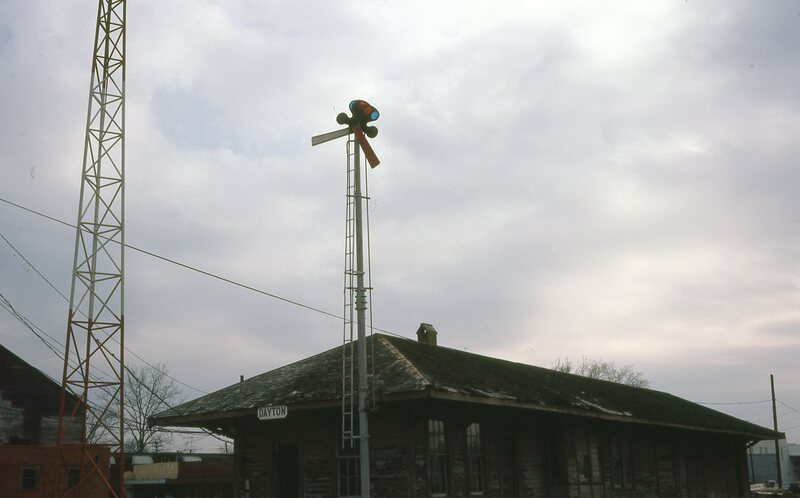 (Asherton is the name of a West Texas town near where my mom grew up — for a few years — in Brundage, Texas, actually in old Missouri Pacific country.) 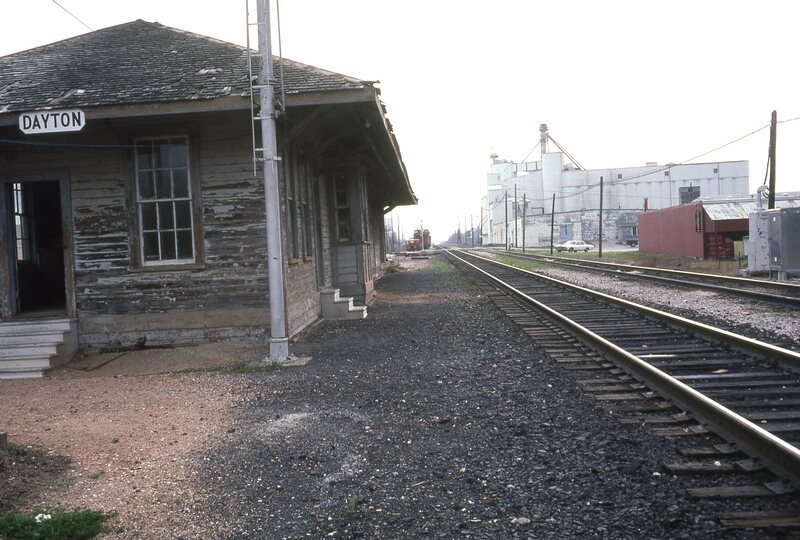 The Asherton (or Carrizo Springs) Branch is a mythical line set somewhere in the “West” in the late summer of 1982. It is jointly operated by BN and SP. 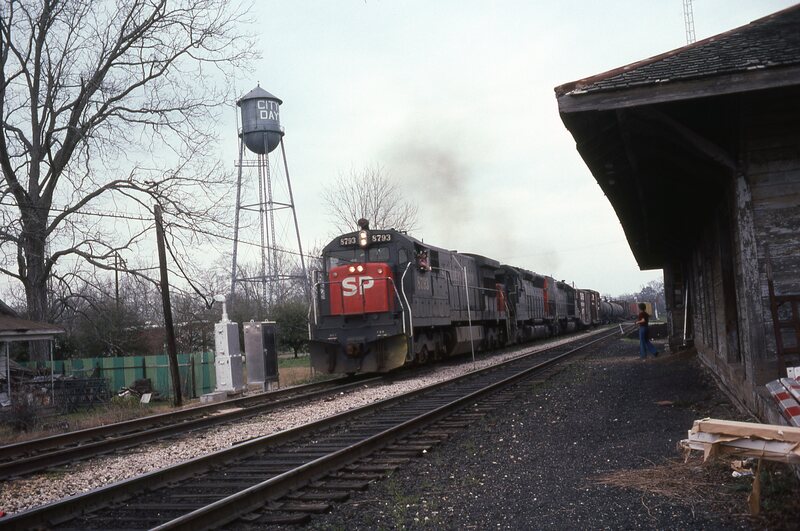 Occasional former SL-SF units are on the line and an occasional loaner from DRGW or MP. The intellectual underpinnings for the new era were revealed in my series entitled, Rail Memories Parts I through IV. Will I stay with this era? I sure hope so. I am selling off most items not consistent with that era. I have kept a little good stuff related to Roswell in the early 1990s just in case, but everything else must go. I don’t even want to be tempted to change eras! So far, it feels very right. Maybe, it is also because in the early 1980s, it was a very carefree chapter in my life (other than college)–baseball, golf, great music, learning to love beer and college parties (probably a bit too much) and girls (kind of redundant with college parties) –and …I was dorky enough to keep loving trains. Doesn’t hurt that the late 70s and early 80s had some great music (and many uber cool 1960s and 70s cars were still on the road). My only security blanket is the possibility of shifting a couple of years earlier or going with the Roswell in the early 1990s. At least I have eliminated modern, late 1990s and everything before the late 1970s. I have more posts on Roswell, New Mexico in the early 1990s coming soon. I shot a lot of pictures in Roswell. I still really like aspects of that era. Note: I know steam fans will not like this use of transition era. However, I never knew steam. First generation locomotives are my “steam.” I have to admit though, I do like the sounds of a steam engine! 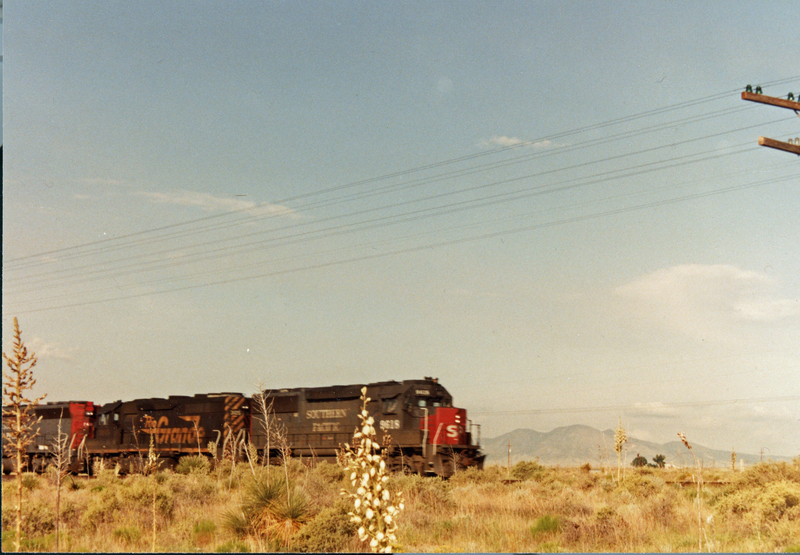 One of the more popular posts on Rails West covered train orders and old school railroading. 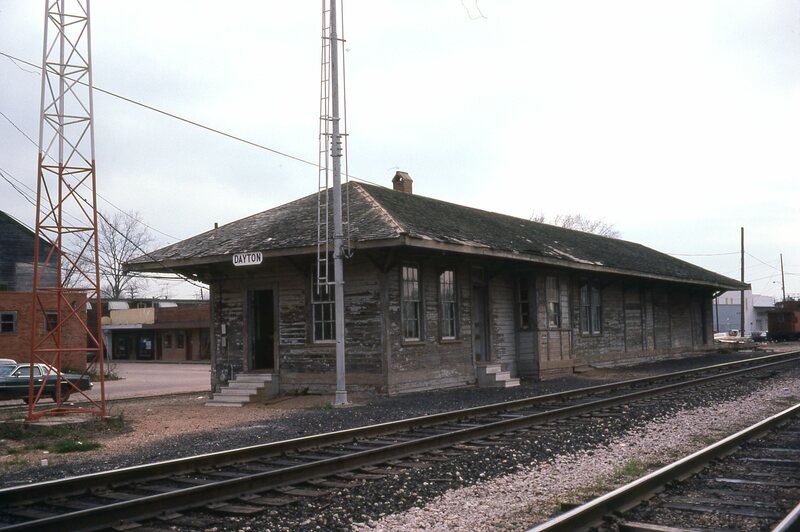 That post has triggered a great deal of interest in seeing my photos of the depot. In fact, one reader said his mom was in the photos and asked for more. He said she’d be thrilled to see these pictures. If I can make someone’s mom happy, I’m going to do it! 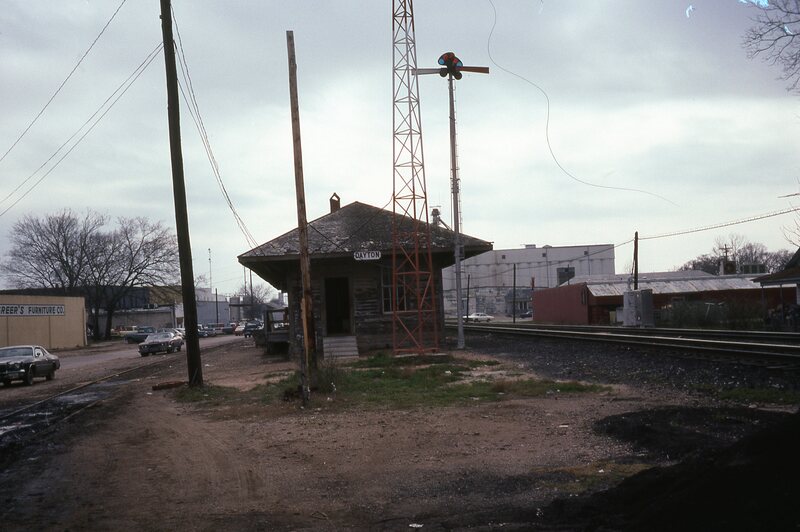 So I am sharing all the photos I took of that depot on that overcast day in May of 1980. 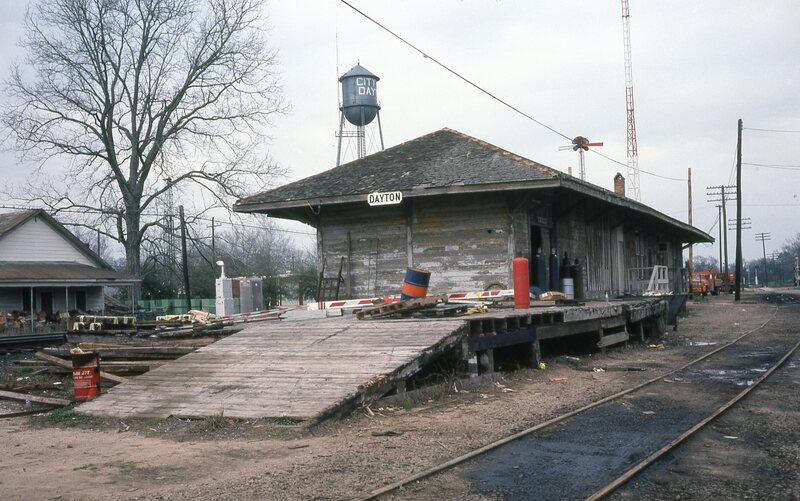 I loved that depot. It was very photogenic, and I love capturing the work of dedicated railroaders keeping the freight moving! And here is a sequence from when a train came by. I also had to go capture that caboose parked near the depot! I am so glad I recorded these scenes. I hope I made someone mom’s happy (and all my readers). 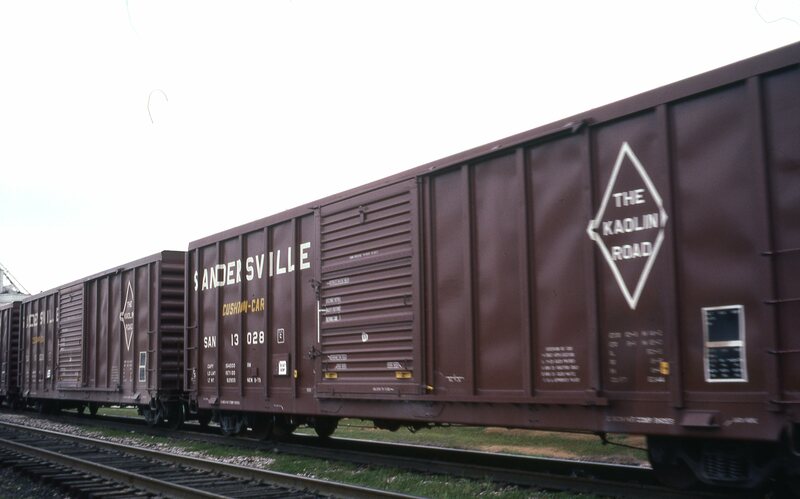 I’ve always liked the look of all-door boxcars. 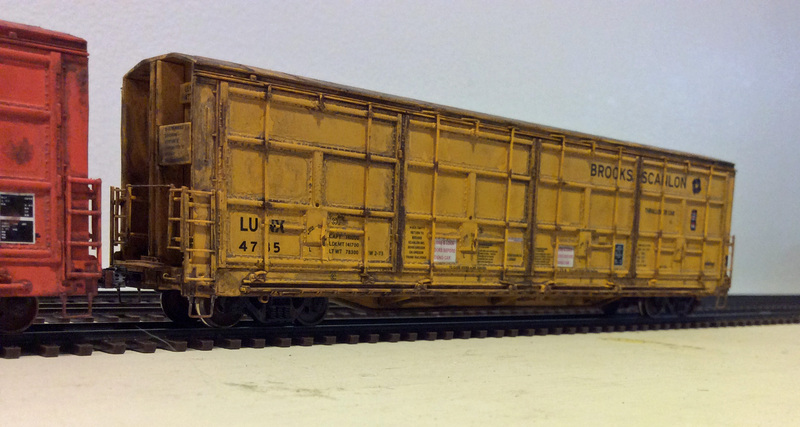 No one has made a great all-door boxcar, but Walthers makes a pretty good one, and with a few upgrades, they are pretty presentable. 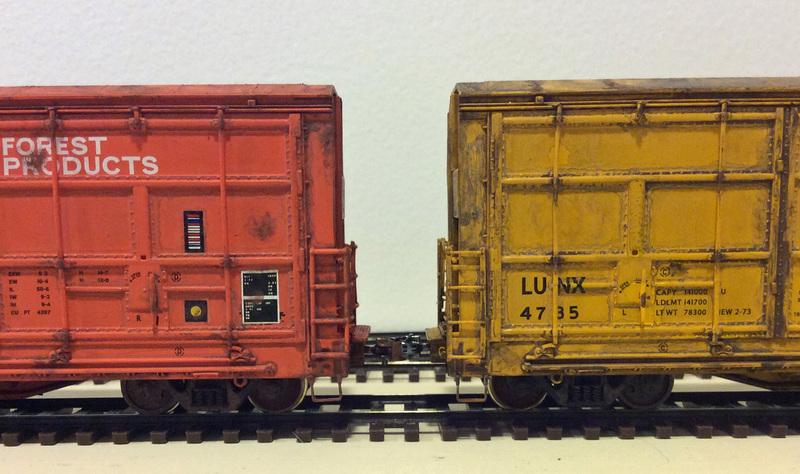 I model the closing era of widespread use of the all-door boxcar (1982), but since I like them, they are frequent visitors to the Rails West layout. Click here for more prototype images, including a picture of the orange Lignum car I have modelled above. 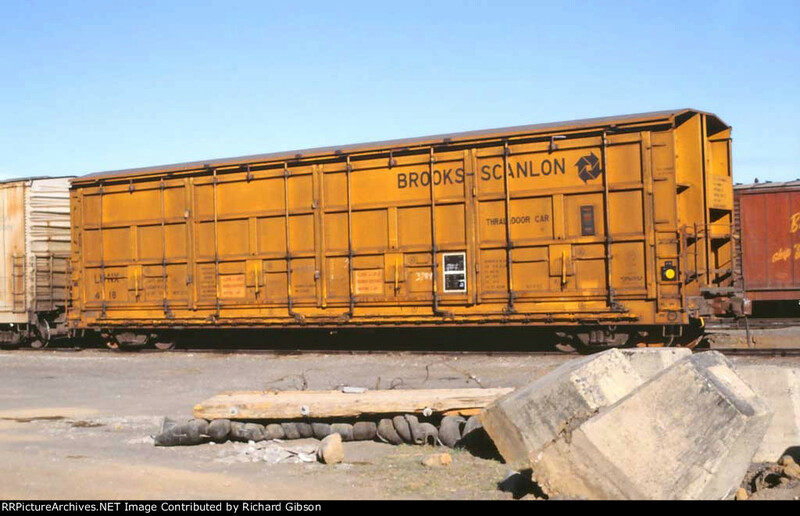 The all-door boxcar looked like a common boxcar, but the sides of the car consisted of four large doors that could be passed over one another, giving the loader or unloader access to the entire length of the car. The manufacturer was intrigued, and a prototype was built to test the car type out. The car arrived in McCloud for testing, and everyone involved was impressed with the car type. A total of 100 cars were ordered. 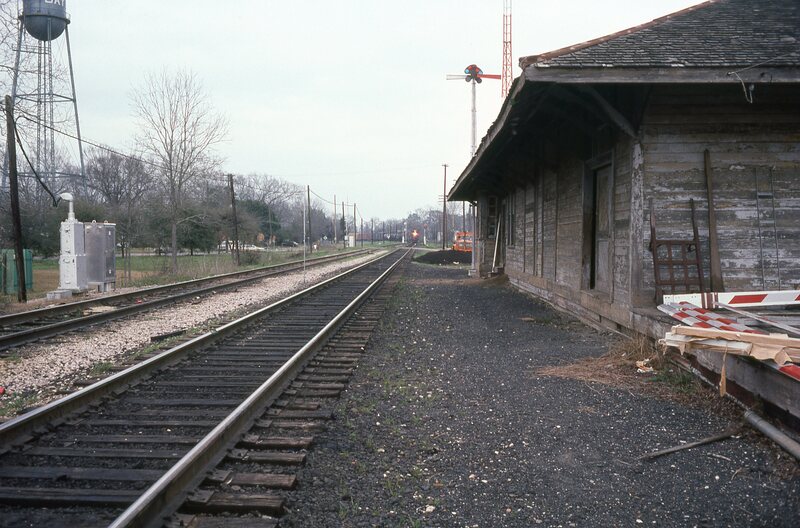 U.S. Plywood, the railroad’s corporate parent, actually owned the cars, as they could control their movement and use a lot more effectively than the railroad could. The all-door design pioneered by the McCloud/U.S. 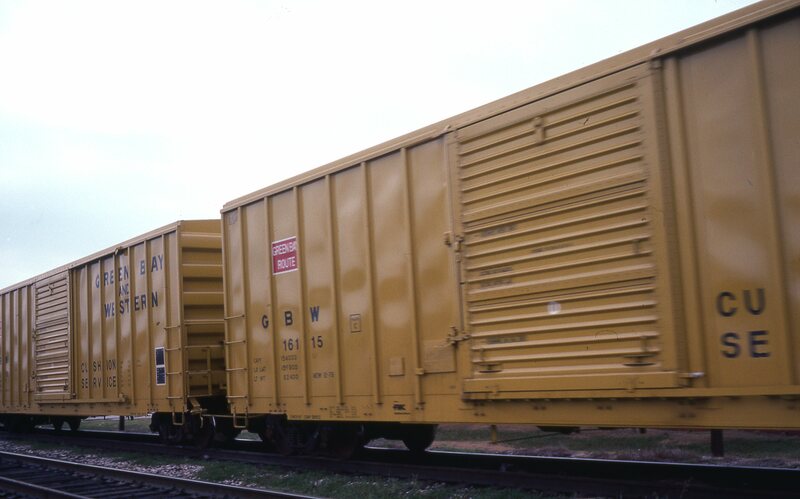 Plywood cars were actually the second attempt at creating an all-door boxcar. 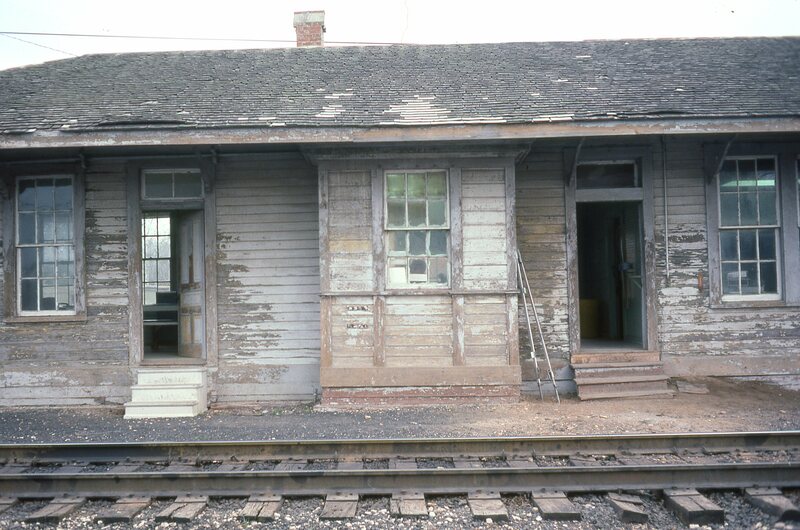 The Southern Railroad had a series of all-door cars a few years earlier than the McCloud cars came along, but the key difference was that the Southern cars used roll-up doors instead of sliding doors. The roll-up version of the all-door car did not achieve the same level of commercial success as the sliding door version of the car. 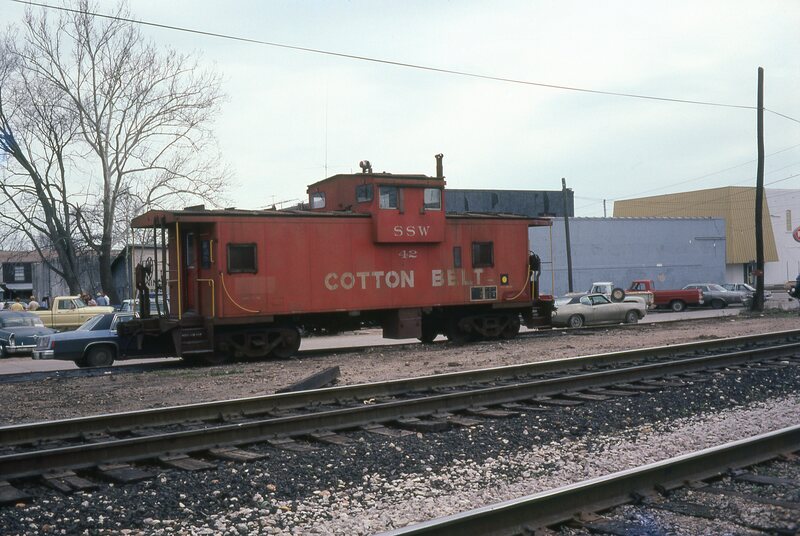 The all-door boxcar initially caught on, and many timber companies and railroads throughout the United States and Canada purchased such cars. However, the sliding panels added substantially to the maintenance needs (and expense) of the cars. 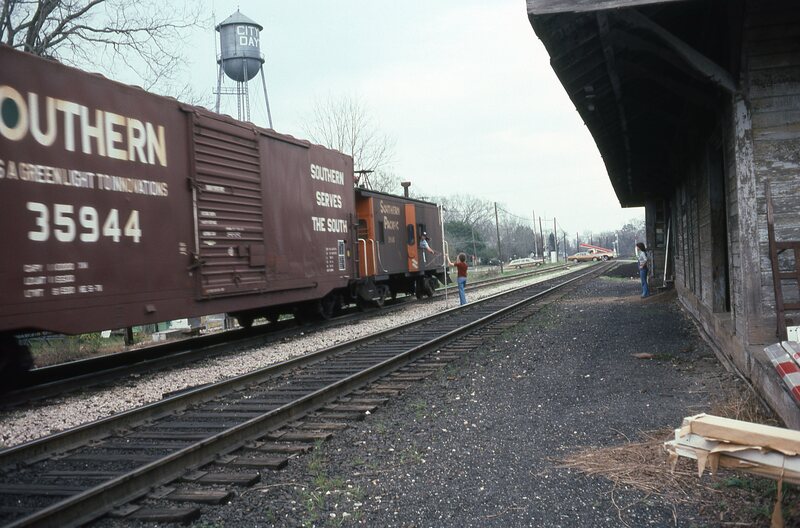 A general movement in the lumber industry to packaged lumber loads made the use of flatcars practical, and by the late 1970’s most all-door boxcars were withdrawn from service. 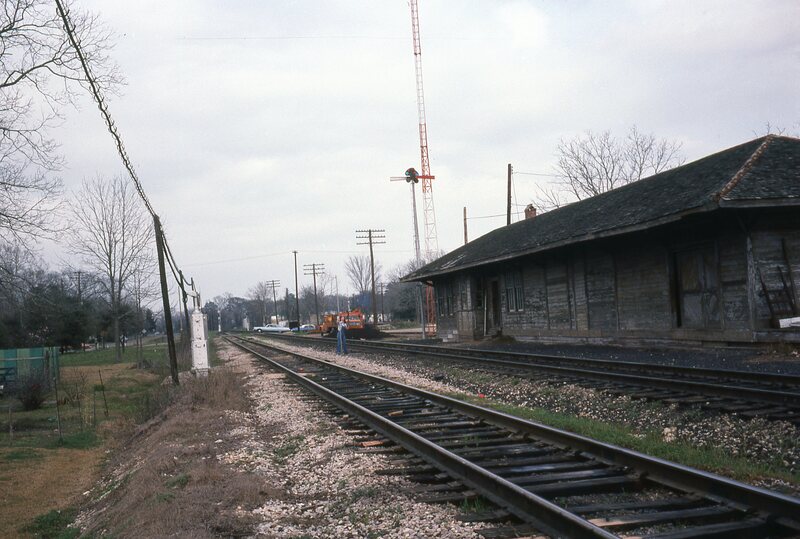 A few can still be seen operating today, but they are few and far between. Again, I model the closing days of the life of these cars, so mine are pretty beat up but still attractive in their own way. Not bad, but the fat stirrups are a major problem. Walthers car enhanced by installing more scale stirrups. It makes a big difference. With some weathering, scale wheels and coupler, new stirrups, ACI plate, more modern lube stencil, and wheel inspection dot, it is not bad. I am glad Walthers offers this car. 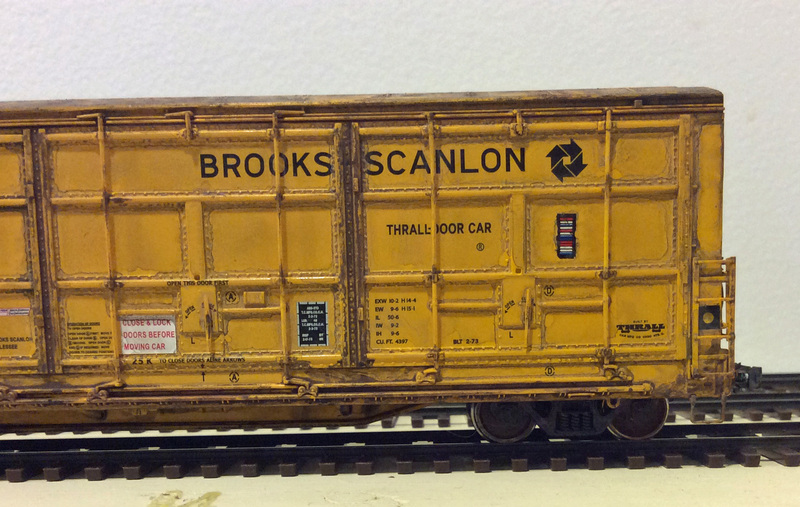 The Brooks-Scanlon cars were a little newer and typically cleaner. This car obviously is a little older. 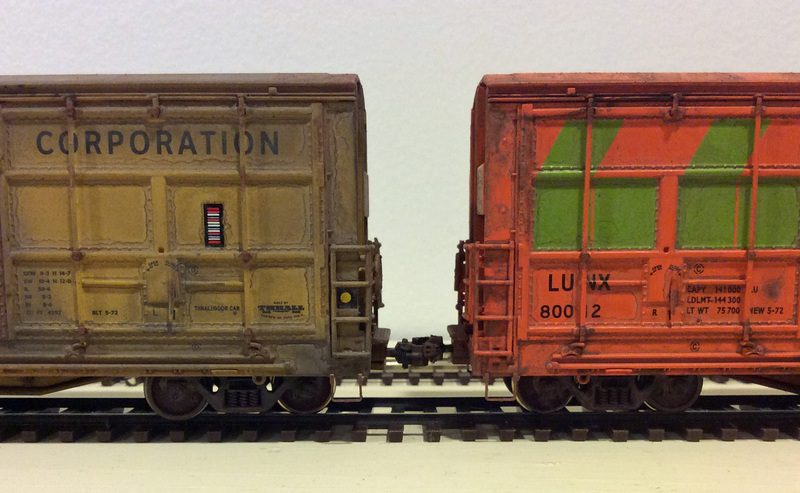 With just a little work, you can create nice models to depict the closing days of the all-door boxcar. I have more to come just waiting on the work bench!